Women predisposed to heart attacks and stroke through genes. A study published in the British Journal of Clinical Pharmacology has revealed the genetic basis for heart disease in women, making them more prone to heart disease and stroke. The research findings reveal and identify a gene variant in women for the G-protein coupled estrogen receptor (GPER) which makes them more prone to high blood pressure; associated as the single biggest risk factor for heart attack and stroke. GPER usually works when activated by the hormone estrogen and has previously been shown to relax blood vessels and lower blood pressure. 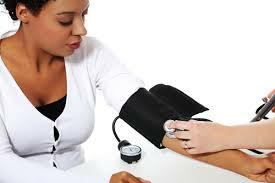 This study identified that many women have a less functional form of GPER, increasing their risk of developing high blood pressure. The researchers examined the effect of the GPER gene variant versus the normal GPER gene in the vascular smooth muscle cells as well as its association with blood pressure in humans. The frequency of gene occurrence was also examined in a group of women referred a tertiary care clinic at London Health Sciences Centre. It was found that women, but not men, carrying the GPER gene variant had higher blood pressure, and almost half of women who attended a hard-to-treat blood pressure clinic, where Dr. Feldman is a physician, expressed the variant. ← Oregon moves ahead with GMO labeling initiative.